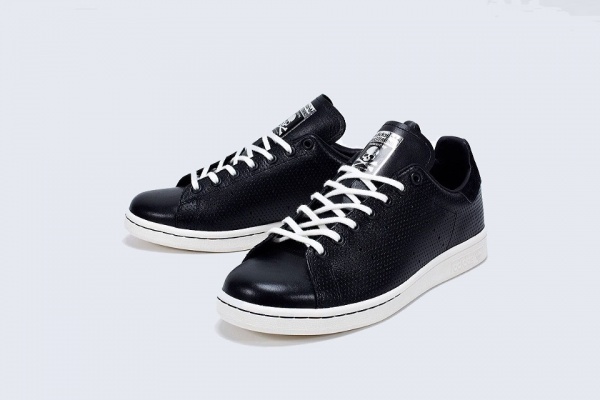 Although most fans are saddened by the fact that mastermind JAPAN has decided to ceased its operations, the brand will be leaving a last offering in the form of their collaboration with the adidas Originals Stan Smith sneaker. For the upcoming mastermind JAPAN x adidas Originals Stan Smith sneaker project, the cult Japanese label leaves us with a sneaker that features an all-black premium leather upper with the brand’s famous label on the tongue. The outsole and laces that are done in a contrasting white tone round up the look of the sneaker. There are no words yet on the release of this collaborative project, but stick with us here at Formatmag for updates.